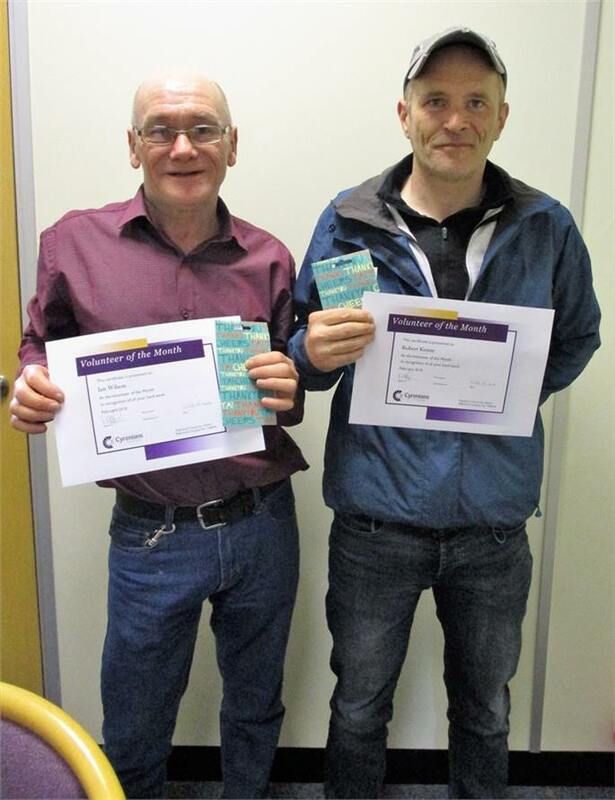 Our volunteers of the month for February 2018 were Rob & Ian. They are both residents currently staying in our hostels for the homeless, eager to get back into work. They make a great team as Volunteer Van Drivers. Ian has volunteered for Cyrenians since July 2017, and Rob since December 2017. They are both hardworking and trustworthy, picking up donated goods, including furniture and clothing from the public/homes around Coventry & Warwickshire. The donations are then either given to clients moving onto their own properties or sold in our Charity shop, Windsor’s & Refreshed to raise valuable funds to run our services. They recently braved the severe cold weather and persevered collecting charity bags for several hours in the snow!!! To show our appreciation we have awarded them each with a certificate and voucher – WELL DONE & THANK YOU! “I look forward to my volunteer work days and I am finding working as a volunteer to be a great help towards finding full time employment in the future”. Rob. “I enjoy volunteering for Cyrenians, it helps me out and gives me a purpose and I feel useful. I get to meet people and help people”. Ian.